There’s a lot of confusion on what the difference is between a Landing Page and a Squeeze Page is, so this article aims to explain the difference between the two so that you can understand when they are appropriate. The definition of a landing page is simply a basic web page that someone is presented with when they click on a link from somewhere. That link may in an advert, an email, in a book, or perhaps it’s a link shared on social media. Fundamentally, it’s a page that the visitors lands on when they visit a specific link. The definition of a squeeze page is a simplified landing page, that has the specific task of focusing the visitors attention on completing ONE very specific action. In most cases (so 99.99% of the time), you’re wanting the visitor to enter their contact details so that those details are sent to you. It’s called a squeeze page because we’re squeezing the contact details out of that visitor. They can either enter their details on the page, or leave. 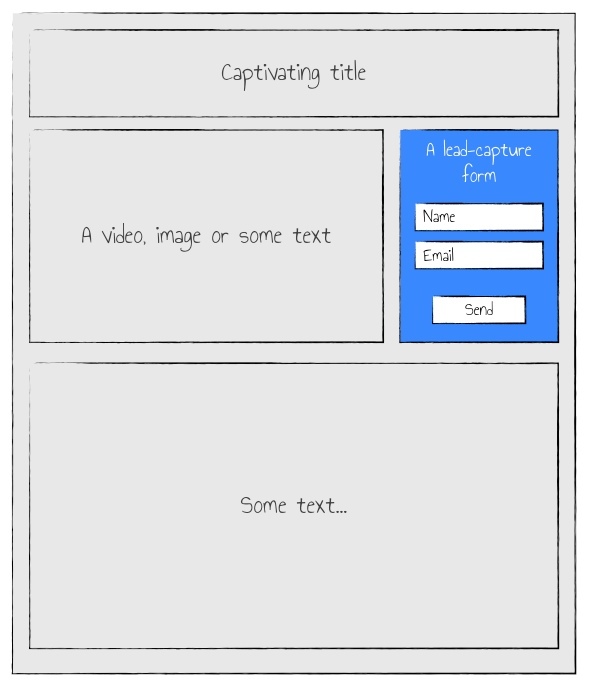 Let’s start with a landing page. 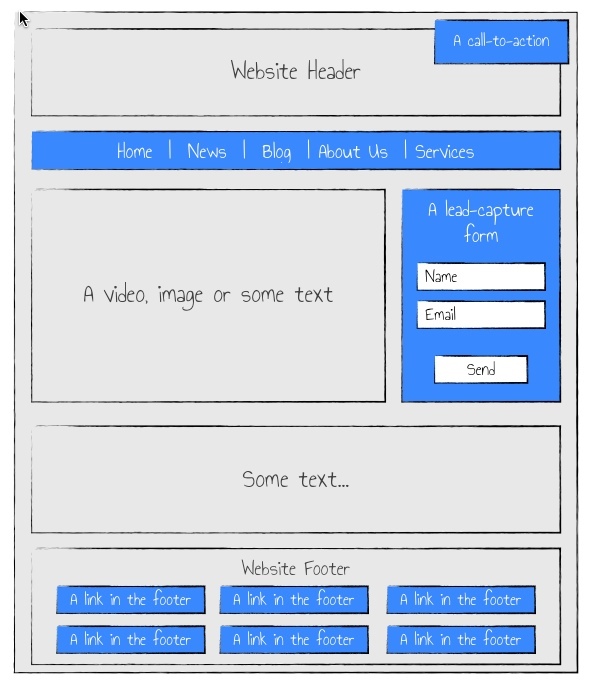 Here’s a diagram of a typical landing page. All of the bits in blue are different things that the visitor can click on or interact with on that page. This landing page happens to collect contact details from the user. However, since there are 9 different ways to interact with the page, this is not a squeeze page. By contrast, a squeeze page only has a single action. Just one blue item, which is the only way that the visitor can interact with. Once you have the contact details of a visitor, you can control the conversation with them, sending them special offers and building a relationship. If the visitor becomes distracted by other things that you can do on the page, then they won’t enter their details, meaning you can’t talk to them. If you can’t talk to them, then there’s a very high chance they’ll never be your customer (because it’s very easy to forget you with so many things going on in life and business). So a squeeze page massively increases the chance you’ll get the visitor’s contact details, therefore inherently increasing the chance that the visitor will be a customer.